2018/12/13 - Stable release 2.0.3 of Hardware Locality (hwloc), the portable library that abstracts and lets you traverse hardware topologies, download them here! Ultra-stable release 1.11.12 is also available from there. 2015/09/21-25 - We organized the EuroMPI 2015 conference and MPI Forum meeting in Bordeaux. 2015/02/18 - Stable release 1.1.2 of KNEM, the high-performance MPI intra-node communication Linux kernel module. Download it from here! 2014/04/15 - I defended my HDR Habilitation at University of Bordeaux. 2014/03/27 - My PhD student Bertrand Putigny defended his PhD at ENSEIRB-MATMECA. 2013/11/18 - Announce of the Network Locality (netloc), the portable library that discover and consult network topologies. More details here. Memory management and migration for OpenMP threads scheduling over hierarchical architectures. My Habilitation dissertation (in French) and my Ph.D dissertation (in French). All Publications list (with BibTex entries), or Google Scholar profile, or HAL export (with PDFs). hwloc and netloc software development within the Open MPI consortium (Cisco, Intel, AMD, UTK, etc.). INESC-ID laboratory from Lisbon University about the Locality-aware Roofline Model (2015-2018). PIA ELCI with CEA and Atos/Bull, 2014-2017. ITEA2 COLOC project with many European partners, 2014-2017. SEHLOC STIC-AmSud project with UNSL (Argentina) and UdelaR (Uruguay), 2013-2014. Common Communication Interface with Oak Ridge National Lab (USA), 2012-2014. ANR Infra SONGS with many French partners, 2012-2015. Inria associated team MPI-Runtime with Argonne National Lab, 2008-2010. Myricom for Open-MX software development, 2007-2008. In charge of the scientific mediation for the Inria Bordeaux - Sud-Ouest Research Centre (since 2010). 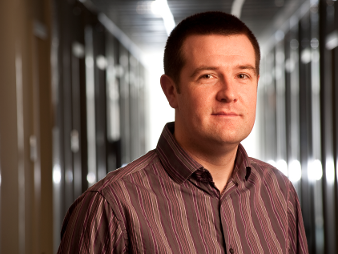 Coordinator of the 2013 CEA-EDF-Inria HPC summer school on Programming Heterogeneous Parallel Architectures. In charge of the Inria booth at the Supercomputing Conference and Exhibition (2010-2014). Administrator of the team experimental machines (Dalton). Treasurer of the works council (AGOS) of the Inria Research Centre (2012-2018). Current and past Teaching activities (in French).